Dale Laster Lessne is counsel in the Princeton, NJ office of Hill Wallack LLP, where she is a member of the Eminent Domain and Environmental Issues practice groups. Ms. Lessne previously served as a Deputy Attorney General in the New Jersey Attorney General’s Office, Division of Law where she represented several State agencies, including the NJ Department of Transportation, NJ Transit Corp., NJ Department of Environmental Protection, NJ Schools Development Authority and NJ Economic Development Authority. After retiring from the Attorney General’s Office, Ms. Lessne served as a Hearing Officer in the NJ Department of Transportation for employee disciplinary and grievance matters. Ms. Lessne is admitted to practice in New Jersey (1980) and New York (1989) and before the U.S. Supreme Court (1989), U.S. Court of Appeals Third Circuit (1991) and U.S. District Court, New Jersey (1980). She attended Georgetown Law Center and earned her J.D. from Rutgers Law School – Newark. She received her B.S., with honors, from the University of Maryland. Ms. Lessne has extensive trial and appellate practice, including but not limited to, condemnation, inverse condemnation, environmental cost recovery, environmental licensing & enforcement cases, defending challenges to State agency decisions. Ms. Lessne represented the successful parties in four published environmental appellate & NJ Supreme Court opinions, including City of New Brunswick Hous. Auth. v. Suydam Investors, LLC, 177 N.J. 2, (2003), the seminal case on condemnation of contaminated property, and NJ Transit Corp. v. Cat in the Hat, L.L.C., 353 N.J. Super. 364 (App. Div. 2002), aff’d 177 N.J. 29 (2003), upholding condemnor’s right to conduct pre-acquisition environmental testing and to value property as if remediated while reserving the right to seek cost recovery for any subsequently-discovered contamination. 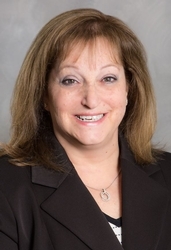 Ms. Lessne has lectured at numerous professional seminars for attorneys as well as NJ Dept. of Transportation land acquisition and environmental seminars for in-house and private engineering and real estate professionals.